If you’re investing in search engine optimization then chances are you’re either doing or have at least heard of the importance of link building and how it can impact your results. At its core, link building is fairly simple – one website links to another. Links are the foundation, and essentially the strings, of the web and what makes everything online connected. It started out simple. Someone referencing another article online – whether a government or university website – and providing a link to their website. However, it has gotten much more complex with the massively increasing number of websites and social platforms. This post will provide you with a high level overview of link building – what is it, why it’s important, and how it can be done. As we mentioned above, links are still the foundation of the web and what connects websites together. They are what Google and other search engines “follow” around the web to find and index new information. 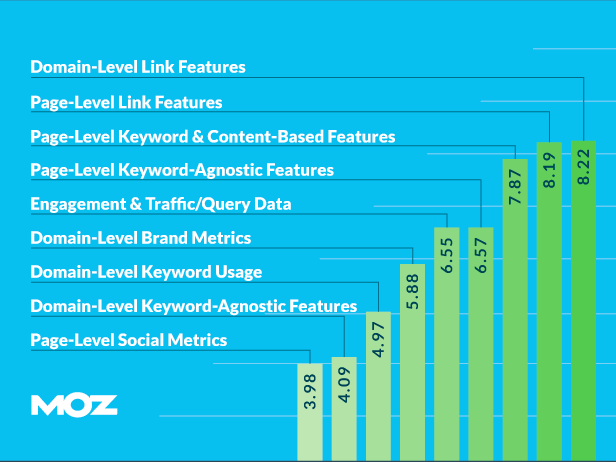 As you can see from the graph above, according to Moz’s analysis of ranking factors in 2015, link-specific metrics were the top two factors for ranking a website. Somewhere amongst all the cuddly panda bear or penguin algorithm updates once-SEO-professionals got scared off because their churn-and-burn link building tactics didn’t work anymore and people stopped giving link building the credit it deserves. 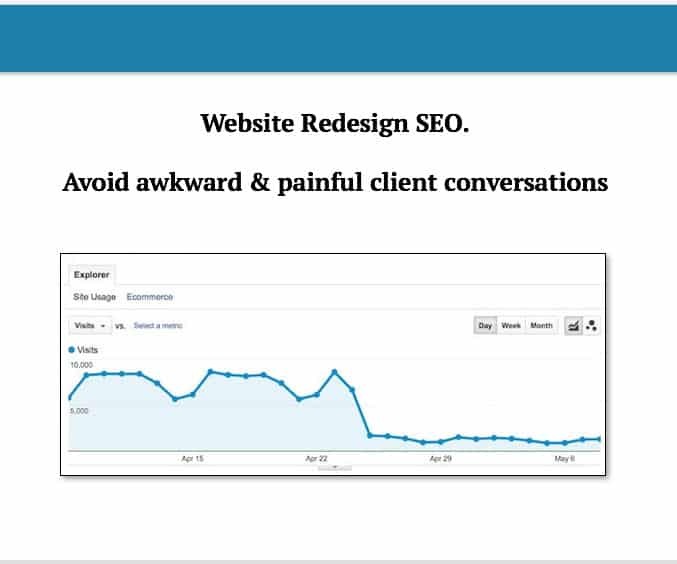 SEO professionals had to go back to the drawing board and rethink the way they built links. Some were successful. Some simply bailed out of the industry. Most of them just sucked. So let’s get one thing straight before moving forward. Link building is the number one factor that influences how well a website ranks in the organic search results. And the number two. It’s important. Believe it or not, Google does still consider links as “votes.” Sure, there’s a lot more too it now than there was – or at least more people are aware of this fact now than before. Not all links are created equal and both authority and relevance plays a huge role in how well a link will benefit a website. When most people reference the hats (white hat vs. grey hat vs. black hat), they are usually referring to link building (with few exceptions) so I thought I’d touch on how they apply to link building before we review some of the different strategies. To start, let’s address black hat link building. While some people may have different definitions, we’re going to define black hat link building as illegal or unethical practices that manipulate people, software, and/or servers to obtain links from websites. This is anything that’s flat out wrong. The pay off on this type of link building is usually very short lived and typically only used in extremely competitive industries with high payouts. Now I want to really drive home a point here with respect to white hat and grey hat link building so pay attention. 1. Grey hat link building is any type of link building that violates Google’s webmaster guidelines. 2. All manual link building violates Google’s webmaster guidelines. Now there are few exceptions, but very few. We’re talking local citations and maybe local directories on a manual submission basis. If your SEO professional or SEO agency is telling you they are building a certain number of links every month (and are able to tell you specifically how many you’ll get next month) and they are telling you it’s white hat link building you might be being lied to. If you’re not being involved in the discussion on what the strategy is behind the link building you won’t know for sure if it is grey hat or white hat. I’m not knocking grey hat link building at all, in fact most link building is grey and it works very well. What I’m trying to drive home here is that most of the SEO industry is lying to you. Now with anything, there are a few exceptions. But if you’re being kept in the dark about how your links are being built and you’re being told they are white hat, you need to ask more questions. There’s more you need to know about link building. Just because you’re doing white hat link building does not mean that you are completely safe from any of Google’s penalties or algorithm updates. Likewise, many grey hat link building strategies are extremely “safe” in terms of avoid any sort of penalty and just because it violates Google’s webmaster guidelines doesn’t mean you’re going to be penalized. The reason I say this is you should be aware that even if you are doing squeaky clean outreach programs, there’s still a chance your website could fall victim to one of the many algorithm updates. Search engines, including Google, are based on math and math isn’t perfect. A good SEO professional is going to audit your link profile before starting any sort of link outreach or link building strategy. This will help guide them in the specifics as it will educate them on the types of links you already have, where they are coming from, and what context they have. One of my favourite tools for auditing link profiles is Majestic SEO, but aHrefs and SEMRush.com are also great solutions. As you can see, Majestic can tell you a lot quickly. How many total links and root link domains, what anchor text ratios, and the quantity, quality, and relevance of links is all available through Majestic. Depending on the scope of your project and the size of your existing website, this analysis might be pretty quick and done at a high level without requiring a detailed report. However, depending on what is uncovered, a disavow list may be recommended based on any low quality in-bound links that are found. There are so many types of link building. We’ll try out best to touch on many here, and over time build out specific in-depth posts on each of them in order to give you the information that you need to make an informed decision on the direction and strategies that you use. It’s important to note that different types of link building come with different costs, time to results, impact, and levels of risk. Also, that just because a link building strategy is against Google’s webmaster guidelines doesn’t make it any more or less likely to get your website “in trouble” with respect to algorithm updates and penalties. Even though Matt Cutts tried to kill guest posting in 2014 it is still a viable source of links for your link building efforts. The idea here is to build relationships with owners or writers of high authority websites within your industry and get yourself invited to write content for their audience to be published on their website. Typically you’ll receive a link or two within the body and/or an author bio in exchange for the content and article. There are some recently updates to Google which apparently devalue these author-box style links but overall it’s still a viable source of links, and better still, also a source of relevant traffic from an industry-related website. The trick is to keep it as focused on your industry as possible and to do it in a way that isn’t spammy. Build real relationships, add value, and then go in for the ask. We ran a successful lifestyle and health and fitness website based on this model with extreme success before selling it. The idea here is simple. Become an expert through interviews by sharing the expertise of others. Or simply interview like-minded individuals within your industry with high authority websites. This worked very well in the health and fitness industry as there was a lot of high authority bloggers. High quality links from relevant websites from guests sharing their podcasts. Excellent social sharing by leveraging followers from each guest. Amazing on-page content that will help improve long-tail keyword targeting and overall relevance and authority. The idea from a link building perspective is that you’re encouraging guests to share their podcast episode across all their platforms, including their website. This usually translate into a very nice page-specific link and usually a homepage link for each episode. While daily podcasts can get pretty expensive, they’re possible. Otherwise a 3-per week or weekly series is a less time-intensive option that will still translate into high quality links. This can be a great solution depending on your industry. The idea here is to create a high value infographic and explains a specific topic within your industry and then do outreach to high authority people within the industry to share and promote. 2. Actually do systematic outreach. Process it and make it happen. Blog comments on industry-specific websites. Social hustling, twitter outreach and growth, etc. Partner links, provider links, supplier links, etc. This group is basically just using a bit of an SEO mind based on your every day business happenings. Going to an event or a trade show? 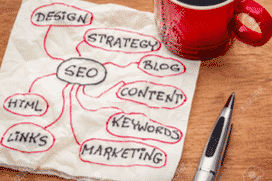 How can you turn that into an opportunity for SEO? Speaking at a local event? How do you get that highlighted on their website? This type of link building needs to happen in tandem with any other strategy you go with as they will always round out your link profile very well. What links do your competitors have and how can you get them? This is a great way to potentially find high quality links that may be a bit obvious but overlooked. Do a quick analysis on competitors link profiles to see if there are any links that some or all of your competitors have that you don’t. You can take this a step further and check for new links to your competitors on a monthly basis and try to duplicate their efforts where possible. I have had incredible results with creating lead-gen style websites in an industry and using it as a way to acquire links from companies that want to get listed on the website. The idea here is you create a beautiful industry-specific website that is half directory listing and half value-add blog and/or podcast. Build it in a way that the listings have a direct email and phone call option that users can use to contact the listed company. A lead gen website. Pretty straight forward. The trick here is like the infographic marketing – to systematize the out reach and contacting of companies within the industry in order to see if they want to be featured on the website. If you build out a country-wide website this can result in hundreds to thousands of high quality links from websites that may even include your direct competitors. This is one of the most popular types of link building out there. The reason for this is because it is both affordable and works extremely well. The idea here is to crawl high authority websites in your industry to find links going to broken websites. From here you check if these websites are both available to register and have good metrics in terms of domain authority and trust flow in your industry, then you can either register and redirect them to your website, or create a new website that will link to yours. Hopefully by now you have a better appreciation for how different strategies may come with different time and monetary investments. If you’re running a weekly or daily interview podcast as an outreach strategy that may be a lot more expensive than simply acquiring broken industry links or leaving blog comments on websites in your industry. Don’t link that spending a hundred dollars a month on a few directory links and blog comments is going to really move the needle in all industries. But you also need to be aware that a high quality lead-gen link building strategy or podcast interview series isn’t necessarily going to attract hundreds of links out of the gate – even though they will be much more expensive. This is why serving the small business market is such a challenge for SEO professionals, and ultimately what leads to both SEOs and the industry as a whole getting a bad rep. Companies that only want to pay a few hundred dollars a month are going to get a level of service that reflects this price. This level of service is likely going to be riskier and/or move the needle less than the company wanted. This is an unfortunate disconnect. Once you understand where you fall within the spectrums on each you’ll be able to start looking for the perfect fit in terms of a link building strategy. Most SEO professionals will provide a free link profile analysis with some high level metrics and give you a recommendation based on the above four factors. If you’re looking to get started on your own just keep it simple. Where can you acquire a link? Local websites? Partnerships? Online relationships? Better still, what can you do to attract high quality links? It doesn’t always take hiring a service provider to build high quality links. Great overview on link building. You guys are honest on the gray-hat vs white-hat front which I appreciate. I don’t really use gray-hat much but love reading about PBNs occasionally since it’s an interesting and controversial tactic. Keep up the good work! Great to hear it. I think grey vs white hat is a discussion that NEEDS to happen with clients as I would say most small to medium sized businesses can’t afford a large scale white hat link building initiative.  There needs to be a manual process of creating links for most companies in local markets in order to keep things affordable, and 9/10 times the highest ROI will come from location citations + PBNs. Love what you’re up to over there and keep in touch. Hey, really interesting post! One thing I’ve recently learned about link building is most of the big online newspapers, magazines or even Wikipedia add tags in their links. So, we’ve been struggling to publish articles, blog posts and other pieces in external media outlets with high reputation. This can help in achieving a higher number of visits to our website. However, I see it has had little impact on SEO for us if the “link juice” is not shared. So, when you are asking “where do I take a link from?”, I think we should concentrate our efforts on getting a link from websites having a good reputation but not using tags. What’s your view on this? thanks!